The challenge is on to test your knowledge - tell us the correct fish in the Sea Harvest Guess The Fish competition! Comment on the Sea Harvest Guess The Fish post that will be posted on the Afternoon Express Facebook page during the live show on 11 April 2017, answering correctly what kind of fish is in the image. Important clauses which may limit our responsibility, place an obligation on you to indemnify us, involve anacknowledgement of any fact or involve some risk for you will be in bold and italics. You must pay special attention to these clauses. 1.1. 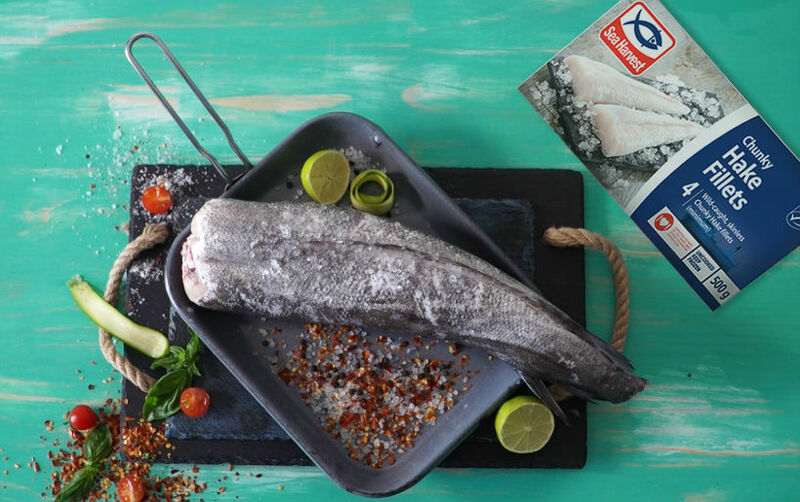 The Afternoon Express Sea Harvest Hamper Competitions (Competition/s) will be run by Cardova Trading (Pty) Ltd in association with Sea Harvest Corporation (Pty) Ltd (Sea Harvest). 1.2. Each person entering one of the Competitions and/or accepting a Prize in terms of the Competitions agrees and accepts that the Competition rules as set out in these terms and conditions are binding on him/her. 2.5. Entries for the fifth Competition will open at 17h00 on Tuesday, 9 May 2017 and will close at 16h59 on Tuesday, 16 May 2017. 4.1. Reply to the Sea Harvest Hamper Competition post (Competition Post) that is posted on the Afternoon Express Facebook page (www.facebook.com/afternoonexpress) during the Competition Period (for the specific Competition you are entering) by answering the question and/or following the instructions as specified in the said Competition Post. 4.5. f your entry is submitted in a manner that in the sole discretion of the Organizers will provide you with an unfair advantage over other entrants, you will be disqualified from the Competition. 5.1. Winners will be determined as specified in the Competition Post for the specific Competition you entered. 5.2. Where the winner is to be determined by means of a random draw: We will randomly draw 1 (one) winner (Winner) by means of an automated system via Facebook within 24 (twenty-four) hours from the closing date of the Competition, subject to clauses 5.4 and 7.2. 5.3. Where the winner is to be determined by a judgment of appropriateness and/or aesthetic appeal: A panel of judges, who are appointed by us, will select 1 (one) person (Winner) from all valid entries as the winner of the Prize within 3 (three) days from the closing date of the Competition, subject to clauses 5.4 and 7.2. The Winner will be the entrant who is determined in the sole and unfettered discretion of the judges as the entrant who submitted the most entertaining and creative entry. 5.4. We will notify the Winner by commenting on the Winner’s entry post within 24 (twenty-four) hours from determination of the Winner to request a copy of the Winner’s identification document in order to validate his/her entry and to request further contact details. The Winner will be required to provide an electronic copy of his/her identification document within 3 (three) days from being requested by us, failing which the Winner will forfeit the Prize and have no claim against us. 5.5. If a Winner does not reply to the notification message sent by us by within 3 (three) days from it being sent by us, that Winner will forfeit the Prize and will have no claim against us. In the event of a forfeiture as contemplated herein, we shall have the right to select a different entrant on the same conditions. 5.6. The Winner may also be announced live on Afternoon Express once the Winner is confirmed. 1x Sea Harvest-branded Water Bottle. 7.3. We reserve the right to amend these terms and conditions at any time within the Competition Period should it be deemed necessary in our sole and unfettered discretion. 7.4. The Organizers’ decision regarding any matter concerning the Competition and/or arising out of these terms and conditions, including the determination of the Winner, is final and no correspondence will be entered into. 7.10. We assume no liability whatsoever for any direct or indirect loss, harm or damage arising from your participation and/or any Prize awarded in the Competition or for any loss or damage, howsoever arising. All persons entering this Competition, indemnify and hold us harmless for any loss, damage, harm or injury (whether arising from negligence or otherwise) which may be sustained by you as a result of any claim, costs, expense, loss or damages or which may be made by any third party.